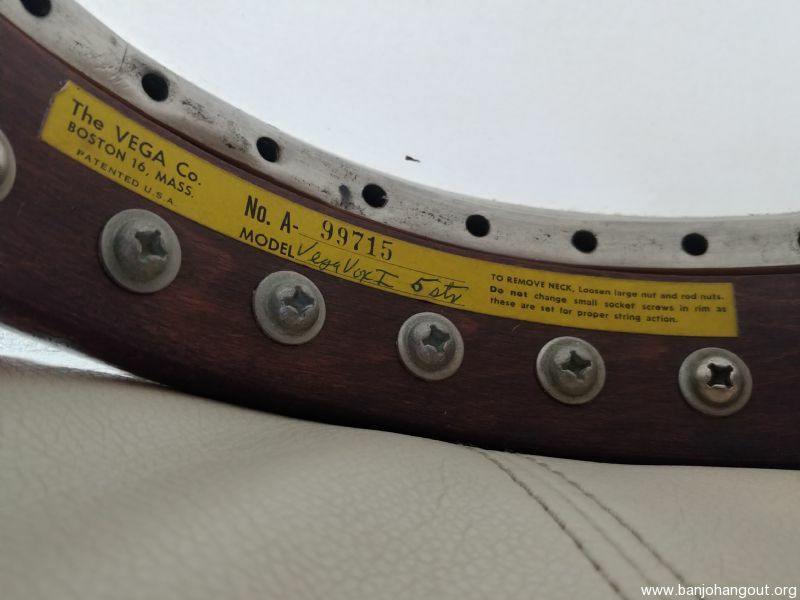 Here's a rare offering from the Vega banjo line after its purchase by C.F. Martin in 1970. 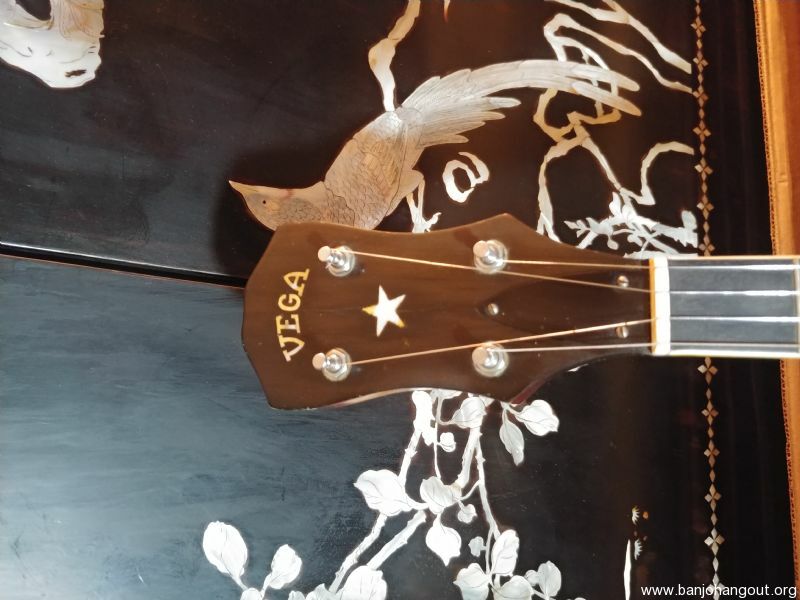 Plectrum and tenor players had always been great fans of the Vega Vox series, easily recognizable by its 2 3/4" deep resonator. So Martin & Co. asked themselves, "why not a 5-string version? 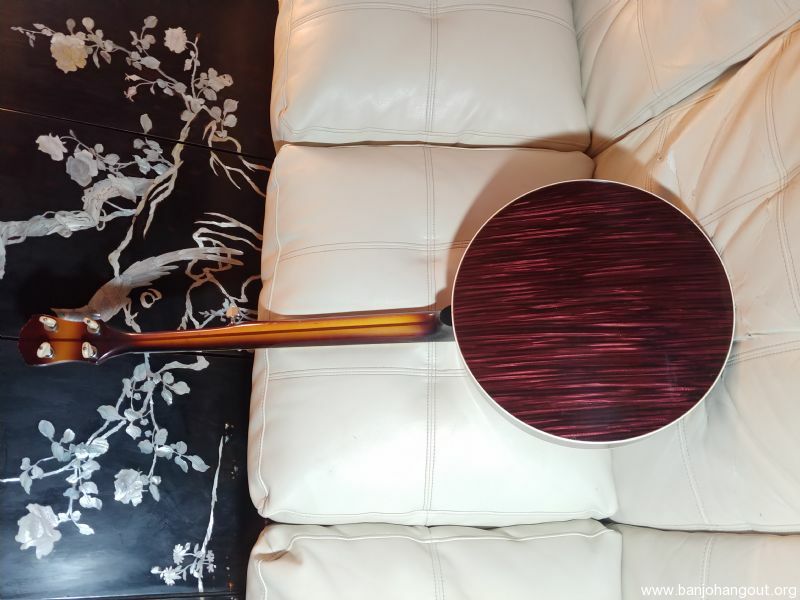 "The result is this 5-string banjo with all the appointments of its 4-string brethren, powered by the highly desirable Tubaphone tone ring. 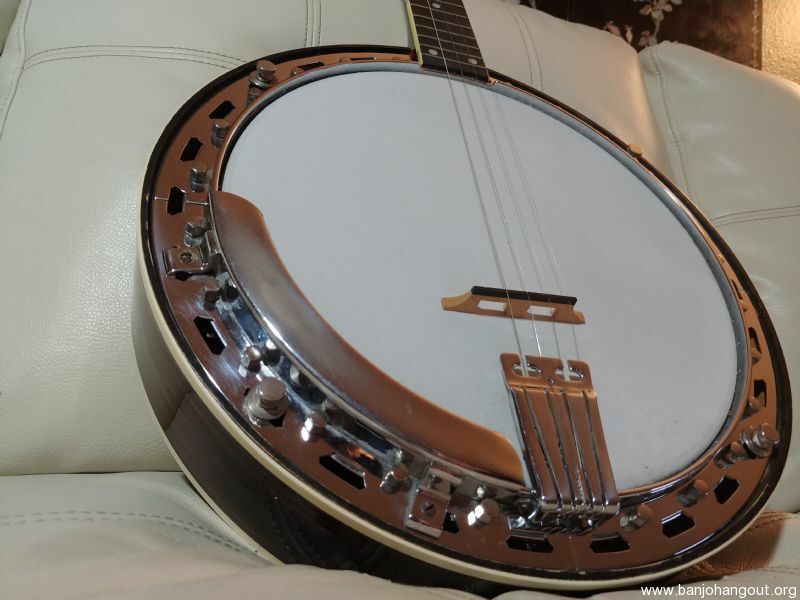 24 top-tension brackets, a faux rosewood resonator, maple lined, and the unique dot and square mother of pearl fretboard inlay complete this Bluegrass banjo picker's delight. 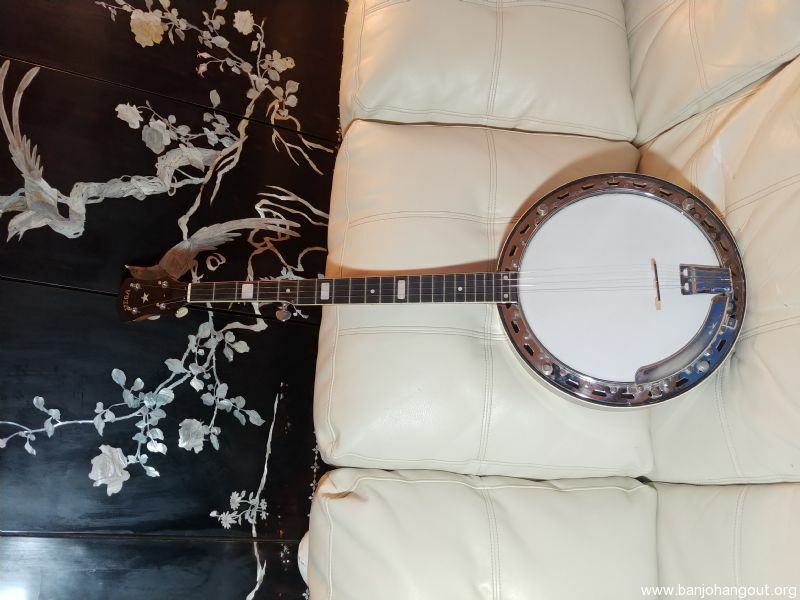 This banjo is in excellent condition with perfect action and Its only flaws are a few nicks and scratches at the tip of the peghead!